Eleven pyres of ivory stand in neat formation in the Nairobi National Park. It is the blueprint for a show to end all shows. But does it work? Is it worth it? Ten pyres, at 2 meters high and four meters-a-side, stand in clusters of five on either side of the centerpiece. It is a gripping sight, towering at 3 meters high and six meters-a-side, and stacked with the biggest pieces of ivory. The short pathway to pyre #9 is blocked with 10 ivory carvings, including one of an ancient Chinese emperor on horseback. Just outside this setup, on the left of the path, stands pyre #12. A much smaller metal frame and, unlike the pyramid ivory towers, this one is open at the top. It is the rhino horn pyre. They’ve been ready for weeks for one of the most publicized events in modern conservation, the symbolic burning of stockpiled ivory. It is the political rally of conservation. Ribbon cutting is replaced with a torch, and the promise to work together to protect elephants and rhinos. 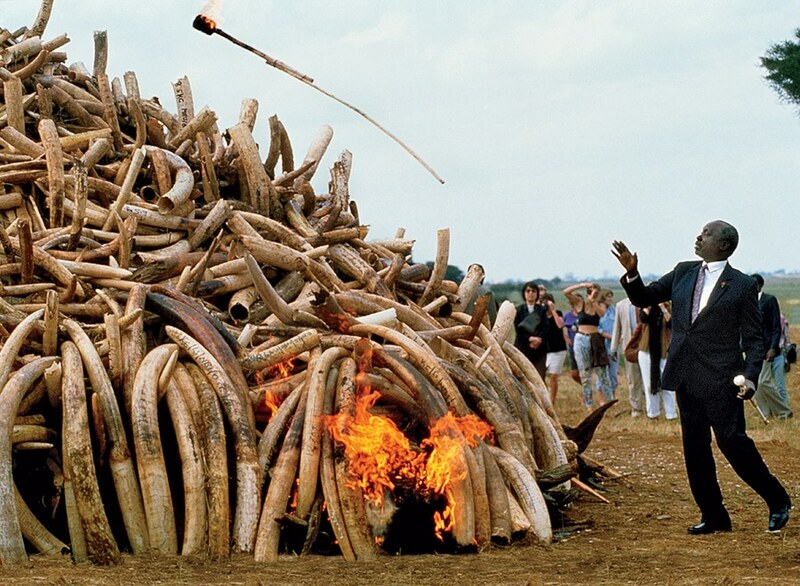 When Kenya “invented” burning ivory in 1989, it had a clear and immediate goal. The UN Convention on International Trade in Endangered Species (CITES) was coming up that October, and the African elephant needed protection too. The Asian elephant had been listed as an endangered species since 1975. An ideological divide within the Sub-Saharan African group made it impossible to get a majority vote for the African elephant. East Africa wanted a ban, Southern Africa wanted a controlled market. So Kenya decided to stack the deck. 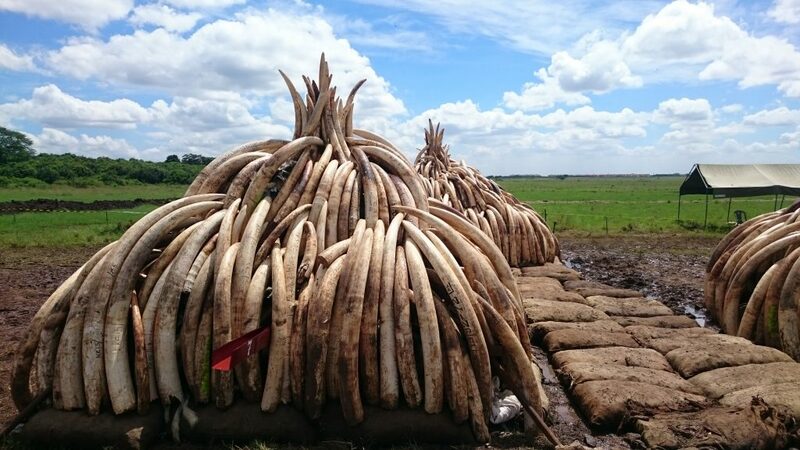 With less than two months to the Convention, President Moi lit up 12 tons of elephant tusks to convince the world that it was time to ban trade in ivory. The irony of this symbolic act was that no one noticed that the baton Moi was holding in his left hand was made of, among other things, ivory. It was as powerful a contradiction as it was a spectacle. Did anyone not tell the Father of the Nation to lead by example? The memory of the 1989 inaugural ivory burn often ignores the work that went into it. Richard Leakey had just taken over the helm at KWS’s predecessor unit and needed a publicity stunt before October. He discussed several ideas with a fellow conservationist, Kuki Gallman. One cold evening in Laikipia, Leakey and Kuki decided to test what it would take to burn ivory. No one had tried it at this point but Leakey, as much a paleoanthropologist as he was a showman, knew nothing would be more gripping than a fire. A fire would turn into headlines, and headlines would emotionally affect the traditional safari customer to pressure his or her government to vote for a total ban. The first results were disappointing. It took five to 10 kilos of firewood, depending on who is telling the story, to burn each kilo of ivory. It took more than 3 hours to burn, or to be destroyed, as the lingo would change over the years. That time seems unlikely now in light of what modern experiments reveal about ivory and fire, but we will come back to that in a bit. 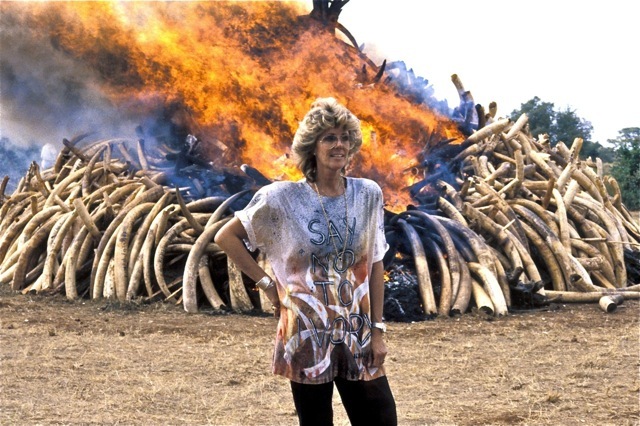 It would be an environmental disaster, using up 100 tons of wood, at the very least, to burn the 20-tons of ivory Kenya had in store. As much as it would grab headlines, it would not make ecological sense to destroy that many trees. So they turned to another solution. They approached an old friend, a Hollywood man. If he was given the problem of burning ivory for a movie set, how would he go about it? That is exactly how Robin Hollister approached the first ivory burning. By that time, he had worked on Special Effects on Sheena (1984) and as construction crew on both The Kitchen Toto (1987) and White Mischief (1985). Robin designed a metal pyramid frame to hold the ivory in a single massive tower. It would be gripping and evocative, with design inspired by the ancient pyramids of Egypt and Sudan. The crew then piled hay stacks doused in kerosene and jet fuel inside the frame. They then placed tons of firewood on top of the hay. Piece by piece, they painted the ivory with Pattex contact glue before stacking it on the exterior of the metal pyramid. Once it was in place, they doused another several hundred liters of fuel on the pyre right before Moi walked to it, laid out the agenda, and torched it. It was striking! Like a scene ripped straight out of an action film. 12 tons of ivory with a spectacular flame on top, seemingly burning through as an eternal reminder that only elephants need the ivory. The Pattex contact glue had been for nothing but show. Conservationists knew ivory doesn’t burn, but the glue did. It burnt with a spectacular orange headline-hungry flame rising more than 10 meters high. It was the optics, perfectly framed, that would tilt the vote as it snuggled comfortably on front pages across the world. Two months later, Kenya had its way. The fire burned for eight days after the politicians, conservationists, and cameras left. It’s only reminder today is a pile of ash with a few patches of grass growing on it. The environmental effects of this burning, and the three that followed in the next 25 years, were never determined. But the quantities were always small enough to assume the benefits of a massive visually striking pyre outweighed whatever holes we were poking in the Ozone layer. In the last such event, in 2015, only 15 tonnes of ivory were burnt. This time, however, 105 tonnes are piled up for a single event. The real work will start after the politicians and cameras have left. It will last three days to a week, the Kenya Wildlife Service estimates. A lot of things about this record-breaking ivory destruction are the same as they were in 1989. Richard Leakey is back at the helm of Kenya Wildlife Service as Chairman. On the ground, Robin Hollister, now a locations manager on production crews, is still the man who has to make sure the pyres are ready. This time though, there is no specific measurable goal but destroying the ivory. 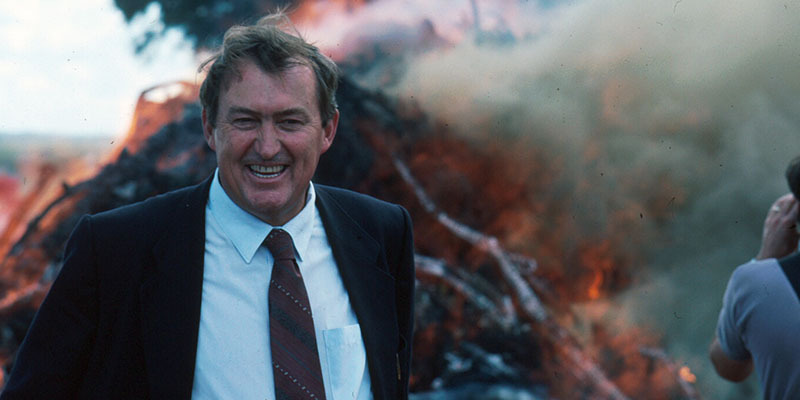 Richard Leakey at the 1989 (or 1991) ivory destruction. When I asked Judy Wakhungu, the Cabinet Secretary for Environment, whether an environmental impact assessment had been done for the burn, she told me it had. She added that the event had a permit from NEMA. It was the same specific answer from almost everyone else, but when one gets to the details, things get a bit murky. It’s still the 1989 set up but bigger and with a few improvements. For this one, Robin tells me, he has created a network of 12 pipes, running underground, to feed fuel to the pyres. A single pipe runs from a half-buried 6, 000 litre tank, to a small pump. From the pump, the pipe runs about seven meters on a trench to a manifold from where the 12 individual pipes emerge and swiftly disappear into the ground. At the bottom of each pyre’s metal frame, around a winding pipe with small holes for the fuel, are gunny bags filled with 20 tonnes of bark from the endangered red stinkwood. The bark, known scientifically as prunus Africana, was harvested in Baringo for export. A court case led to it sitting in a warehouse for years, until it was donated for this ivory burn. 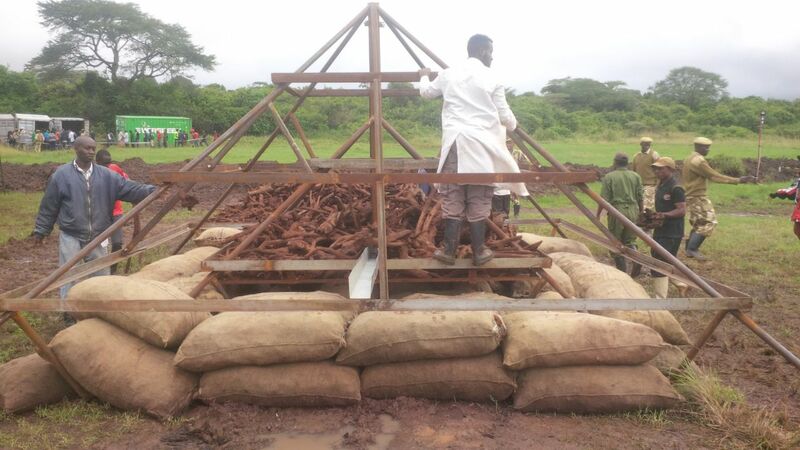 Atop the gunny bags are 30 tonnes of sandalwood, also endangered, from Voi. In some pyres, the sandalwood is covered with animal skins and other animal trophies set for destruction. One of the pyres being set up. You can see the sandalwood on a wire mesh tray inside the frame. The fuel jets are below the tray. Since no one has ever destroyed more than 15 tonnes at once (Hong Kong’ destroyed its 28 tonnes over two years), everything here is pretty much a guesstimate. One of the biggest is that it will take 20, 000 litres of fuel, a half-kerosene-half-diesel cocktail, to keep the 12 fires burning for long enough to destroy the ivory and rhino horn. Or twice that amount. No one knows. No one is saying crushing is easy. A day before the event in the Philippines, the organizers discovered that the road crusher they had wouldn’t work. So they first switched to sawing the tusks in the hope that smaller pieces would be easier to crush. That didn’t work too, so they resorted to manually destroying the pieces before incinerating them. Thailand simply fed its 2.155 tonnes of ivory into an industrial rock crusher. An experiment by the US National Forensics Lab in 2008 showed that under ultra-high temperatures (982 degrees Celsius), only 0.007 kgs of ivory can be destroyed per minute. With a pyre set up outside in rainy April, it must be even harder to achieve and maintain the heat. This means that it’s not only a greater environmental and occupational hazard but it is also ridiculously expensive. But everyone I talked to insisted on the word destroy; the ivory wouldn’t burn, it would be destroyed with heat. It’s a sly differentiation. To burn is to consume fuel, or to be consumed as a fuel. When a piece of paper burns, it combusts and becomes the fuel for the fire. It doesn’t need anything else but oxygen to continue burning until it becomes ash. Ivory is different because its interior is made of dentine and the exterior of enamel, the same material your teeth are made of. The enamel can char when exposed to fire, but the dentine is hardier and doesn’t burn. What an “ivory burn” is is a weeklong fiery fiesta that burns and pollutes the environment for days for it to be effective. Even if the environmental effects of destroying ivory with fire were low enough to be ignored, would it be worth it? Would it be effective in helping the cause of the African elephant when the bigger problem has been conservation with contradictions? Some of the ivory in the pyres for the April 30th burn looks like it hasn’t aged naturally. It’s exterior is white and dull, like it’s enamel has been scrapped off. I posed the question to one of the organizers and got a convoluted answer. The question itself is a prevailing concern, that once ivory is burnt for show the exterior can be scrapped off and the ivory still sold. With an intact interior, it achieves both functions, the show and the sale. There is no specific verification method to ensure everything burns, and as headlines fade but the fire burns, only a small circle knows whether the ivory is completely destroyed. Kuki Gallman poses in front of the headline-hungry flame. With such questions in mind, one wonders what the goal of this specific stunt is. The ban has been in place for 26 years, and the ideological divide prevails. Elephants are still dying-in small or large numbers, depending on whether you listen to KWS or to conservationists. Communities living next to elephants still see no value in conservation, and would (and have) readily eat an elephant if they corner it. To them elephants are a nuisance that only benefits tourists who leave after a few weeks to leave the jumbos tearing through farms and destroying homes. They don’t trust conservation, and with good reason. The 1989 ban led to a prohibition effect similar to that seen in the cocaine trade. It chocked off legal sales of ivory, hence raising the prices in the Asian markets and triggering a supply boom. There was that pertinent issue of Southern African countries still insisting on selling the ivory they had in stock. 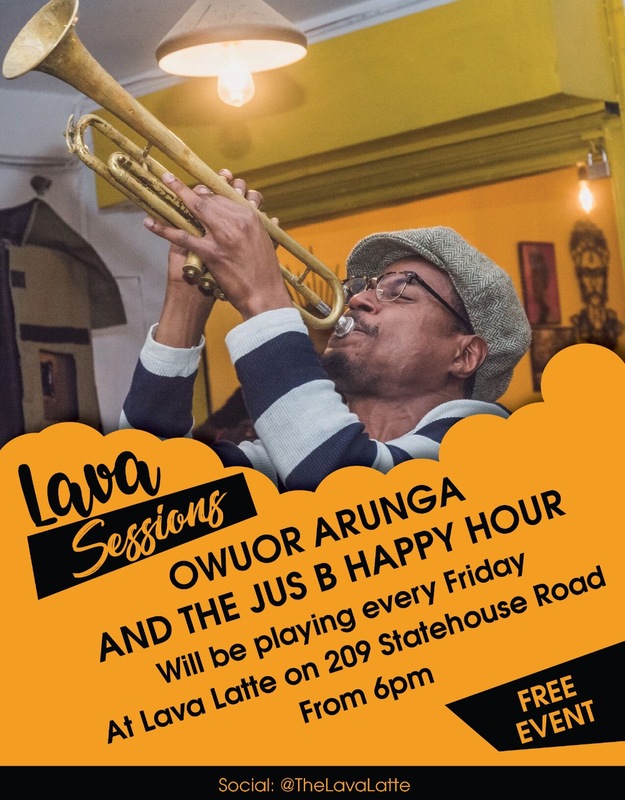 Kenya had won a battle, but it was just about to lose several more. 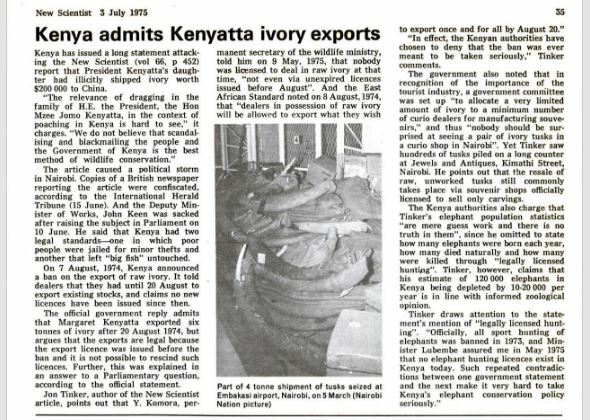 In 1999, with little foresight and misguided optimism, CITES voted to allow Botswana, Namibia, and Zimbabwe to sell some of their ivory to Japan. The “one time” experiment had no hypothesis beyond the money factor, and no controls were put in place to prevent a new boom in ivory trade. As far as bad experiments go, the sale of 50 tons of ivory to Japan reversed all the gains the world had made in that decade. Demand immediately went up in Japan, and China protested not being allowed to buy some itself. A little too late, CITES monitored the changes in ivory demand using numbers of confiscated ivory. The numbers shot up in the next decade, which should have been a sufficient warning that the experiment was dangerous. But in 2008, CITES did the same thing again. An experimental sale of 115 tons was made to China and Japan. China promptly controlled supply of the ivory into its market, so prices and demand went up. And the usual massacre of the African elephant followed. It was, and still is, possible to get a CITES license to trade in ivory. Burning ivory, in 1989 and 1991, followed by other countries, had done nothing substantial for the African elephant. Poaching was still rife, and became one of the mainstays of future criminals, politicians, insurgents, terrorists, conservationists, and smugglers. Botswana doesn’t destroy her ivory. 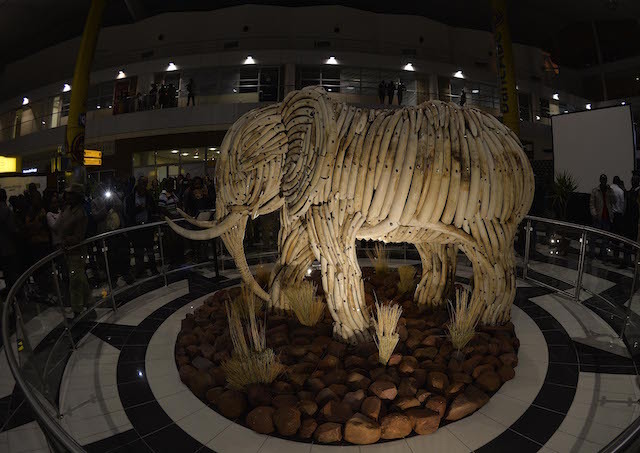 Instead, in 2014, Botswana used some of its stockpile to build a monument of an elephant at its main airport. The centerpiece statue will stand there for generations to come to remind people that ivory belongs to elephants. Botswana today holds the world’s largest elephant population. It’s also one of the countries that were allowed to sell some of its stockpiles in 1999 and 2008. When asked why Botswana does not destroy her ivory, Tshekedi Khama, Botswana’s Minister for Environment, wrote “we do not destroy ivory because we have told communities that there is value in conserving elephants.” It is a strong argument from one of the countries whose system has been more effective than the Kenya-led scorched earth policy. While holding such a big event, KWS is grappling with how to involve local communities in conservation. To most black Kenyans, conservation remains a mzungu affair. The real?Kenya has two faces, one for the optics and the other for the wallet. The burn events are done for headlines in the Western world. ?Ask around, and many questions on whether the ivory will actually be burnt will come up. No one will be shocked if some or all of it ends up back in the black market. It’s not apathy; its complete removal from the event and its symbolism. Kenya, funny enough, lay some of the groundwork for the Botswana community-centric strategy. In 1919, a male elephant was born somewhere in the forests of Marsabit. His name was Ahmed. In time, he grew some of the longest and most magnificent tusks anyone had ever seen. He was an introverted male elephant who preferred to be alone. Several times, hunters tried to gun him down with antique Martin-Henry rifles. In 1970, Ahmed made his debut on the big screen in The American Sportsman in an episode titled “The Search for Ahmed.” The media blitz that followed was accompanied by a letter-writing campaign by schoolchildren to Jomo Kenyatta, Kenya’s first president. He relented, declaring Ahmed a living monument and having five armed game rangers assigned to him. One morning in 1974, Ahmed didn’t show so his minders went out to look for him. When they did find him, Ahmed was half-leaning against a tree, resting his head on his great tusks. He had died in as majestic a pose as only a true king can. Wolfgang Schenk, the chief taxidermist at Zimmerman’s Limited, after which Zimmerman’s estate is named, was then flown to Marsabit to prepare the skeleton. The remains were then flown to Nairobi where the skin was treated and the skull macerated. The skin was unsuitable for a life size mount so that plan was abandoned and replaced with one to build the life size bronze sculpture that still stands at the National Museum today. The man at the helm of the Museum then was, you guessed right, Richard Leakey. It was a simple, evocative strategy that brought in young schoolchildren into conservation, and convinced the political elite of the need to ban trophy hunting in Kenya. But then the story heads straight into contradictions that broke that trust. 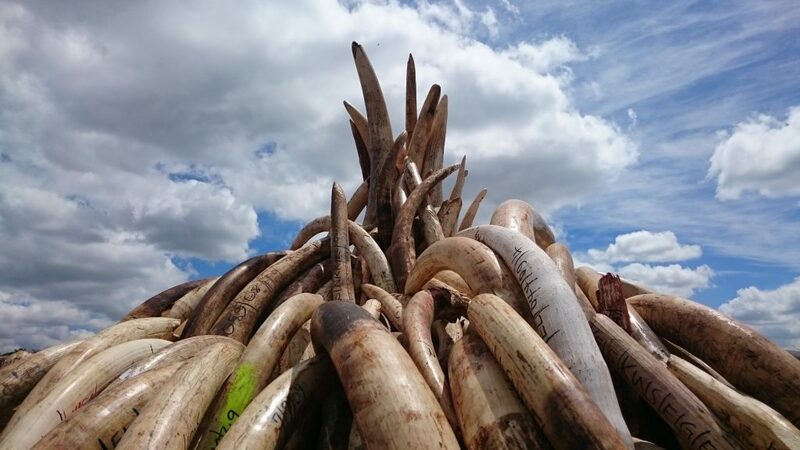 Two days before I made the visit to the ivory burn site, a leading Kenyan conservationist’s 90-year-old mom had surrendered ivory trinkets that had been in the family for years. It is one of the many unfortunate ironies of Kenyan conservation. Just as in 1989 when Moi held ivory in one hand and burnt it with the other, State House and State Lodges still have ivory mounted as decorations. Even if we assume the state has CITES licenses to have them, it is a contradiction of morality. It dilutes the message and the seriousness of the situation. There’s mounted ivory at Mt. Kenya Safari Club too, where the Giant’s Club Summit will be held. In case you thought we were done with contradictions. Margaret, Jomo’s daughter and Uhuru’s step sister, was busy selling ivory months after her dad burned trophy hunting and ivory sales. Destroying ivory and only keeping it in such lofty places has another effect; it raises demand. It tells the market that supply is low and they need to panic buy. Prices shoot up, and more elephants die. That happened after China destroyed its stockpile in 2014. Demand triggers supply, and supply involves poisoned arrows and dead rangers and elephants. Only lowly poachers will get arrested while their mafia dons walk free, and mingle with (and fund) politicians and conservationists alike. A marvelous, ironical counter-effect if you may. One of the leading sentiments one feels from multiple conversations with the people on the ground is that they are set on this, and nothing will change anytime soon. The Cabinet Secretary said destroying all that ivory made it (the stockpile) “less of a headache” for her. Conservationists made pseudo-political statements for it, and I was furnished with a 2-page grid of criticisms and the Kenyan counter-arguments to the burn. It’s heresy to consider any other form of destruction, leave alone finding any other way to use the ivory. 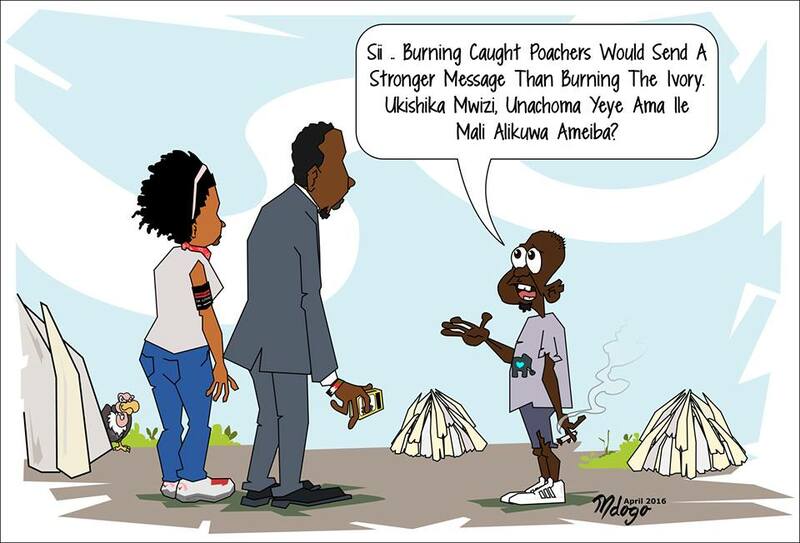 As the fire burns, promises will be made to actively and seriously pursue and prosecute the real poachers, not just the gunmen. It’s a promise we’ve heard many times before. It’s an empty promise. These pyres will burn, the environment be damned. They will burn, even if the fires mean nothing to the people who live next to the elephants and rhinos.